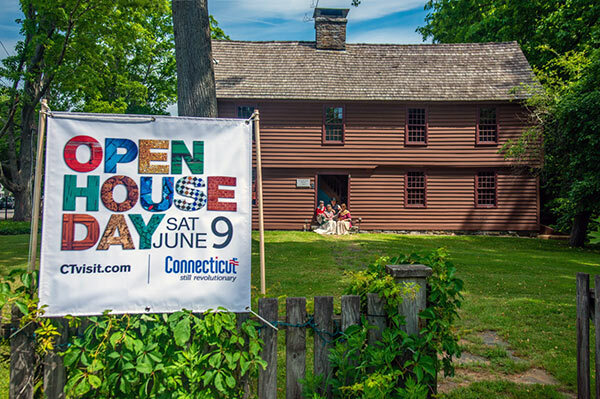 Connecticut started the event 14 years ago and on Saturday, June 9th and over 230 houses participated. 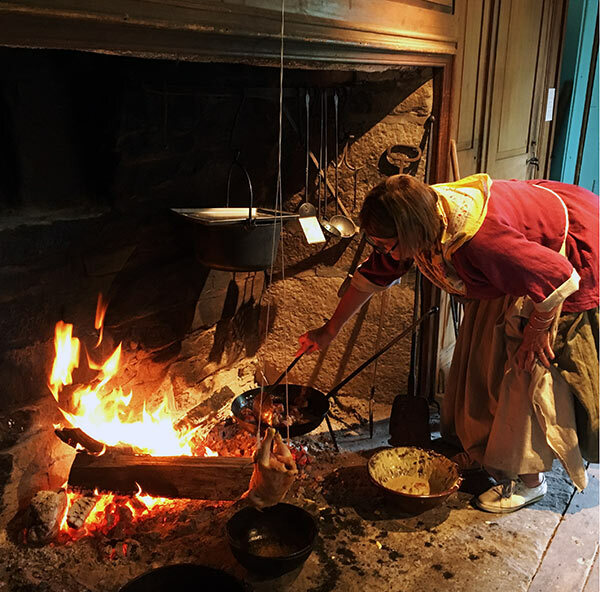 A large crowd toured the Grave House observing and tasting a hearth cooking demo. 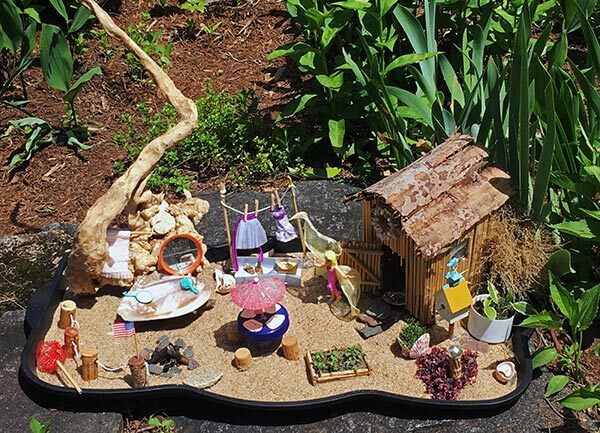 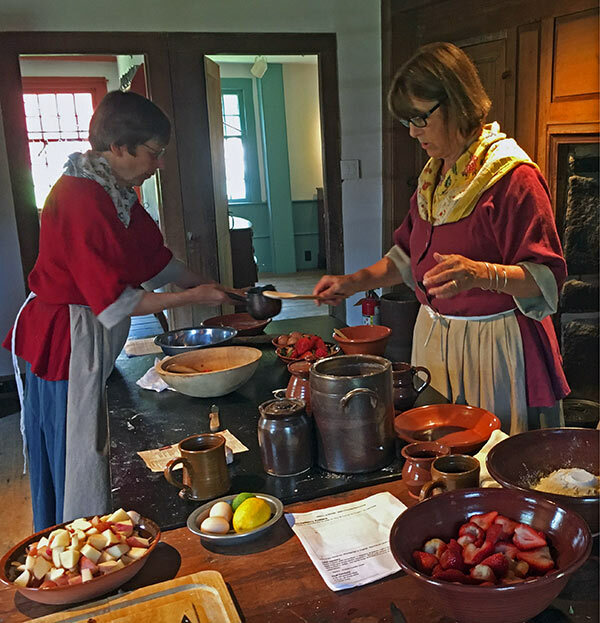 The cooking included potato chowder, strawberry fritters, strawberry cornbread and a hanging chicken. 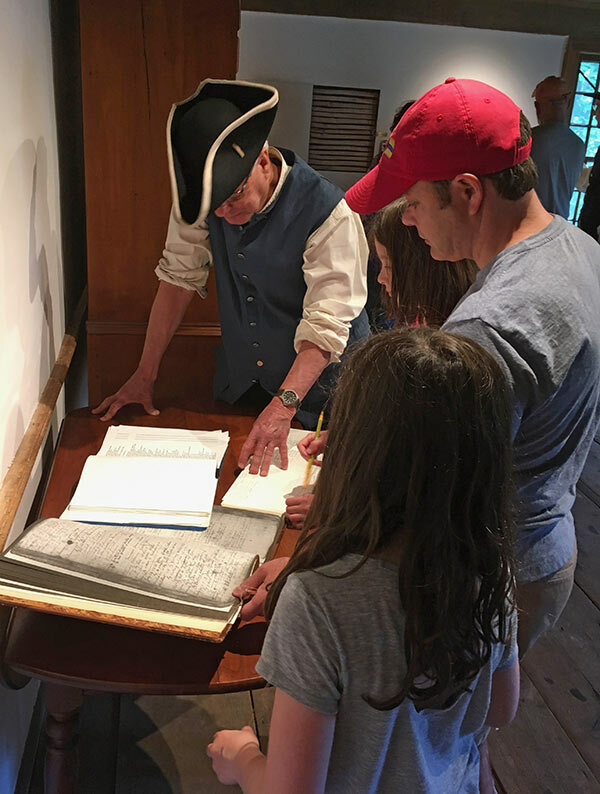 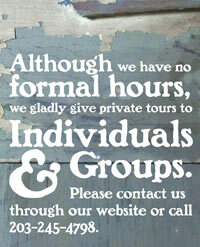 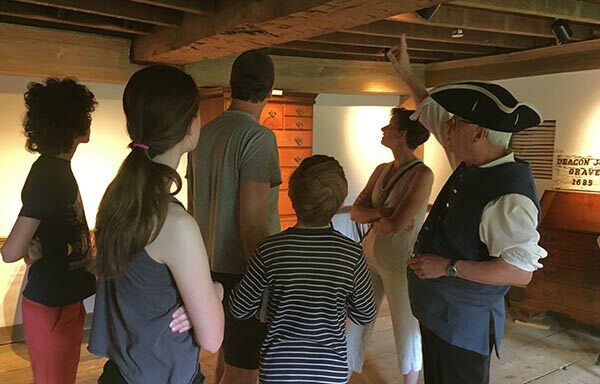 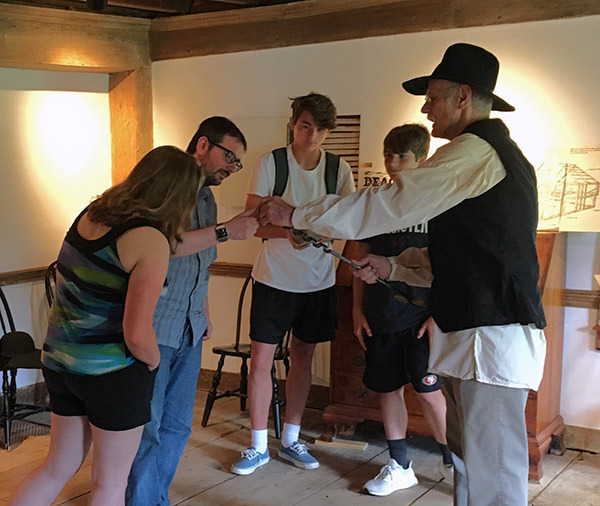 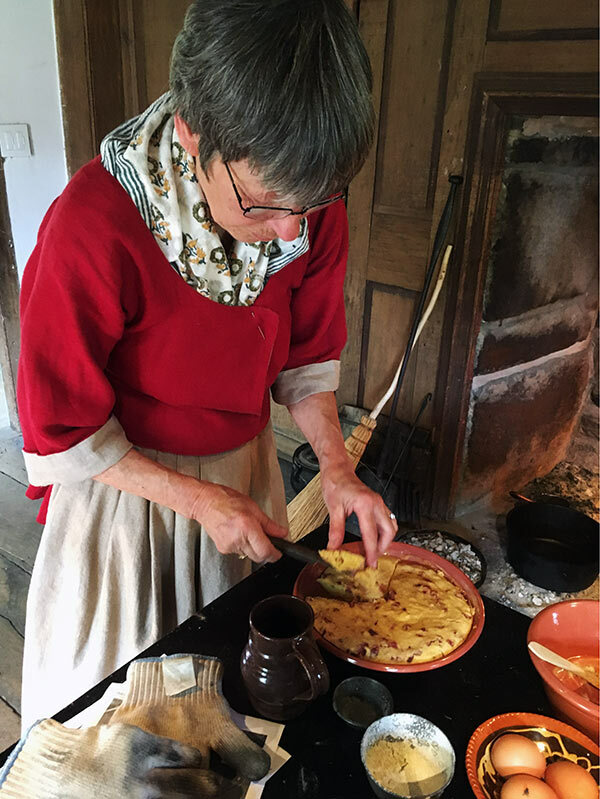 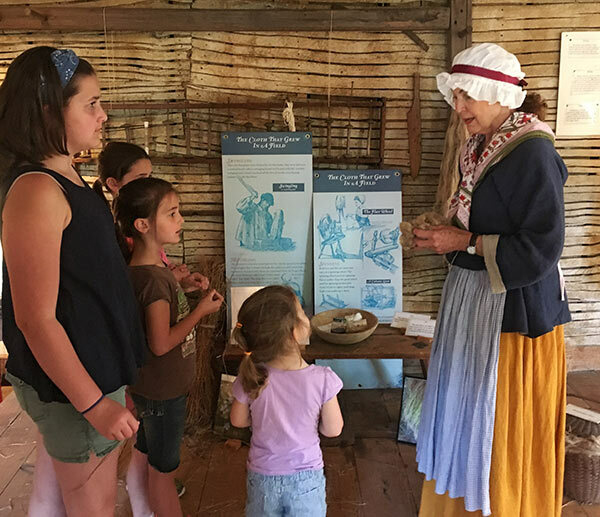 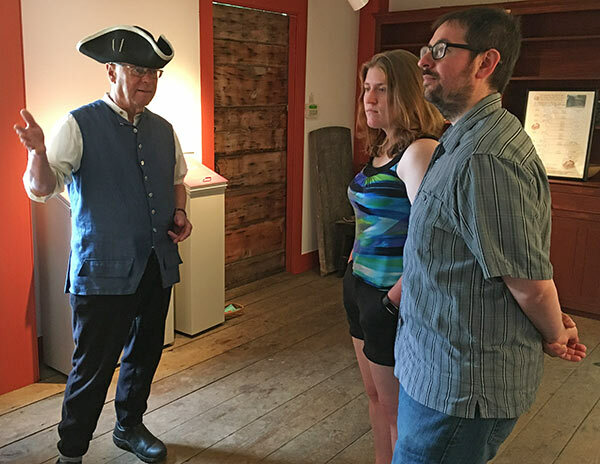 Farm tools, linen making, including growing of flax, spinning and weaving were on display with docents explaining the procedures as well as the furnishings of this 1685 house. 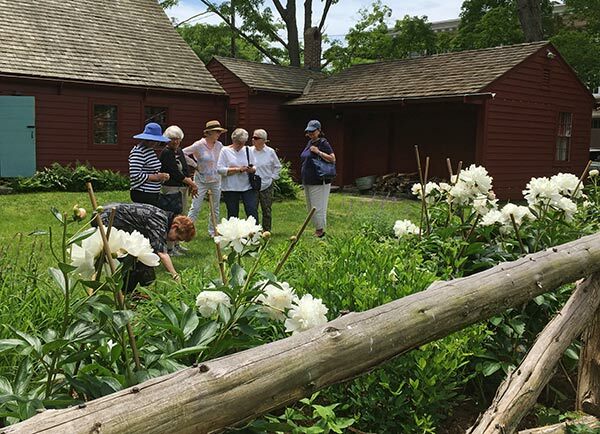 Visitors also toured the beautiful perennial and native plant garden maintained by the Garden Club of Madison.